Wedding season is in full bloom! While it's a crazy time of year, I still have a ton of work I need to post on the blog. 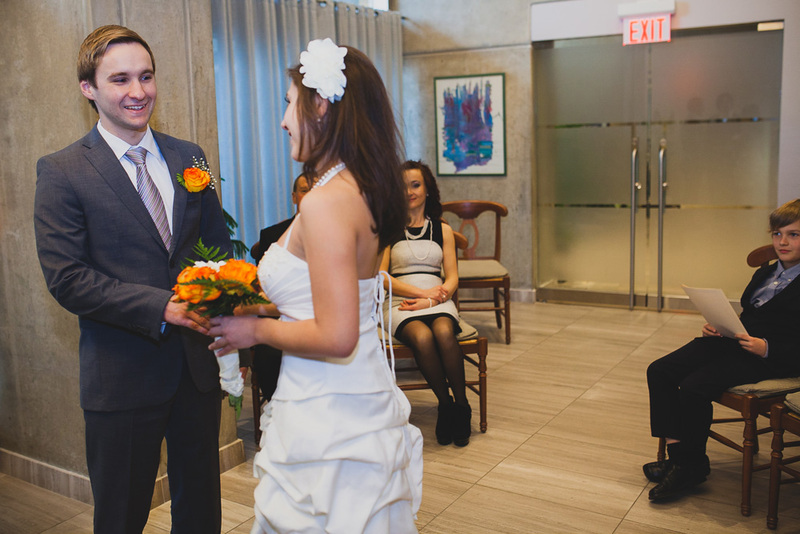 Today is a look at Laura + Dmitry's Toronto City Hall civil ceremony. Before they headed off to their lovely destination wedding, Laura + Dmitry decided to have a small intimate ceremony with their families present. While it was bit of a colder day, they were gracious in entertaining me to have them go out side to the observation deck of Toronto City Hall for some amazing photos. The following week we met up again for a post-Wedding mini session at the University of Toronto (which is where the two met). I really do enjoy U of T, the landscape, the architecture, it really never gets old. While landmarks aren't known for sticking around for too long in this city, King's College maintains it's place and storied history. It makes for a fabulous backdrop!